Dollarama decor of the damned | Man vs. Clown! With the number of monsters on tricycles out there these days, someone was bound to start exploiting the trend commercially. 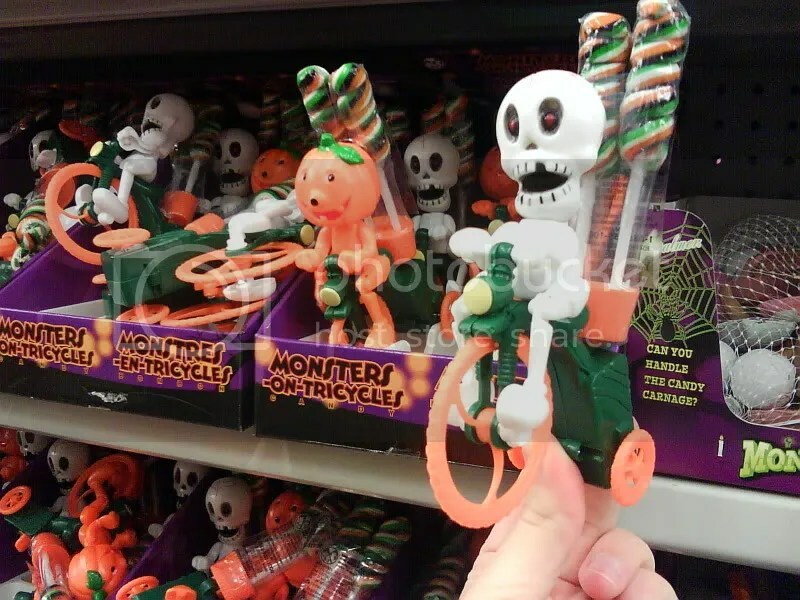 It’s not clear, though, whether this candy is meant for monsters on tricycles or if anyone can eat it. 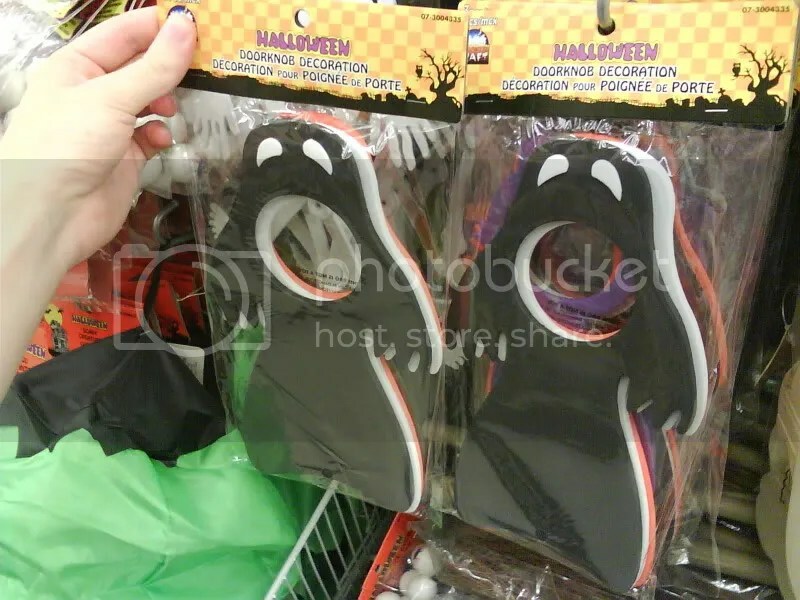 Right between the Halloween bibs and baby sweaters: Halloween thongs, for this year’s slutty baby. 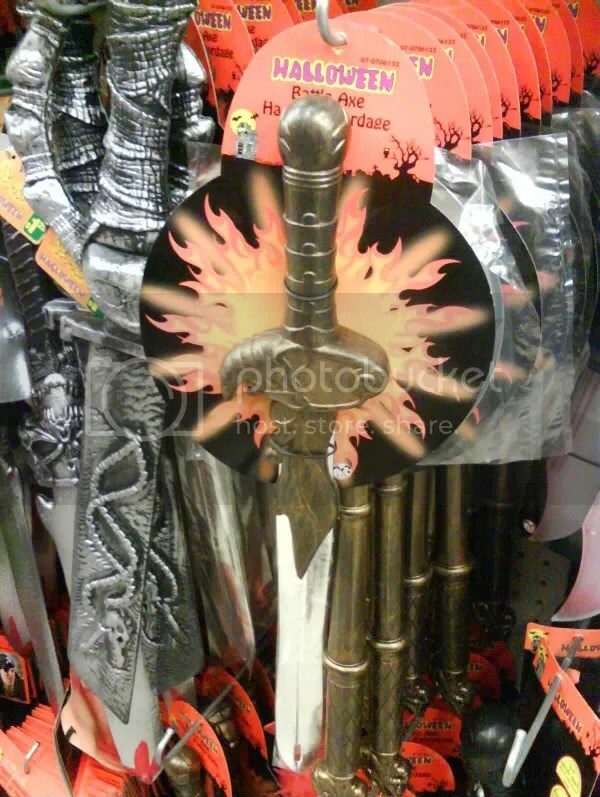 This isn’t a one-off — every sword in the place was labeled “Battle Axe”. Either they’ve been grossly mislabeled or axes are getting way swordier this days. 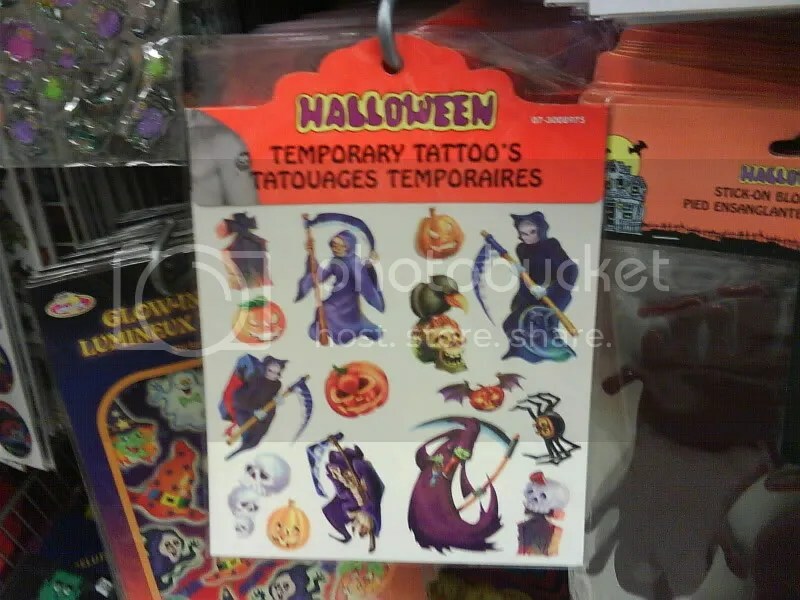 The tattoo is temporary — the damage to your child’s understanding of apostrophe usage is permanent. 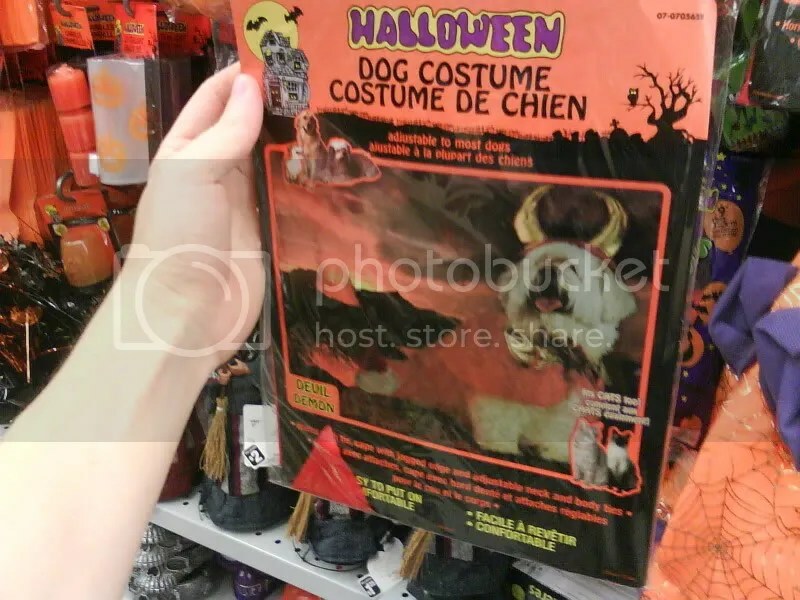 This is supposed to be a terrifying hellhound costume, though it handily doubles as a Viking dog outfit. 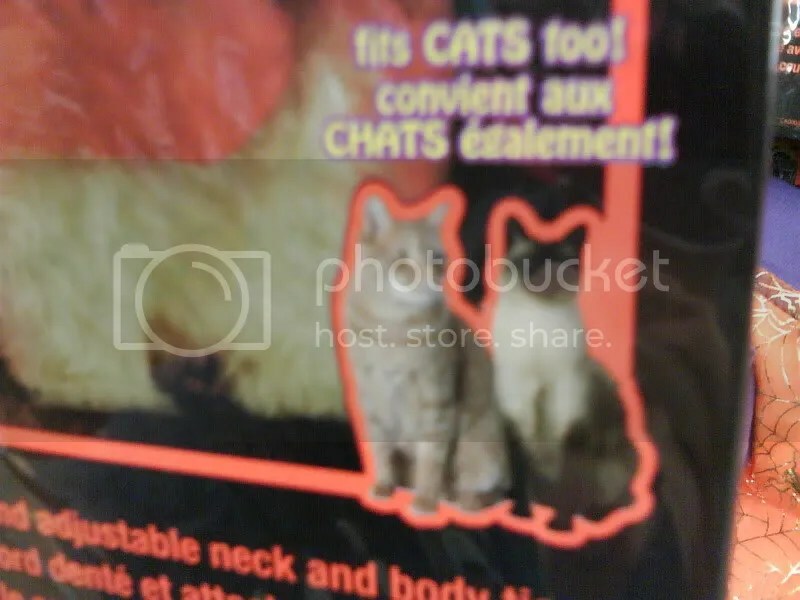 Now that’s good marketing — they just doubled their sales right there. Frighten your visitors this Halloween with the ghastly sight of a ghost puking up a doorknob. 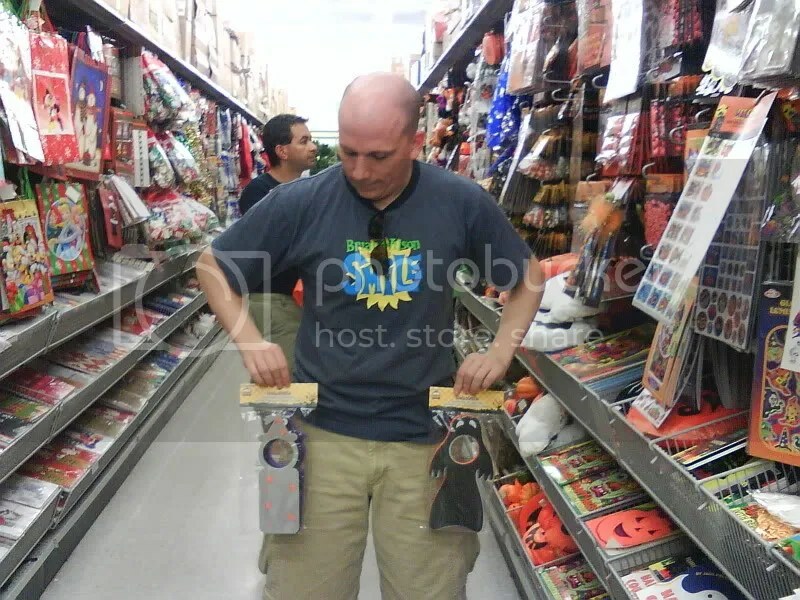 Remember, when you greet the kiddies at the door this Halloween, hang one of these off your knob. So, WHEN are you available for babysitting?